Pilates is a form of exercise that works with the body’s intelligence. It takes the core principles of focus, breath, control, centering, coordination, rhythm and flow, and puts them into personalized motion for each individual body. 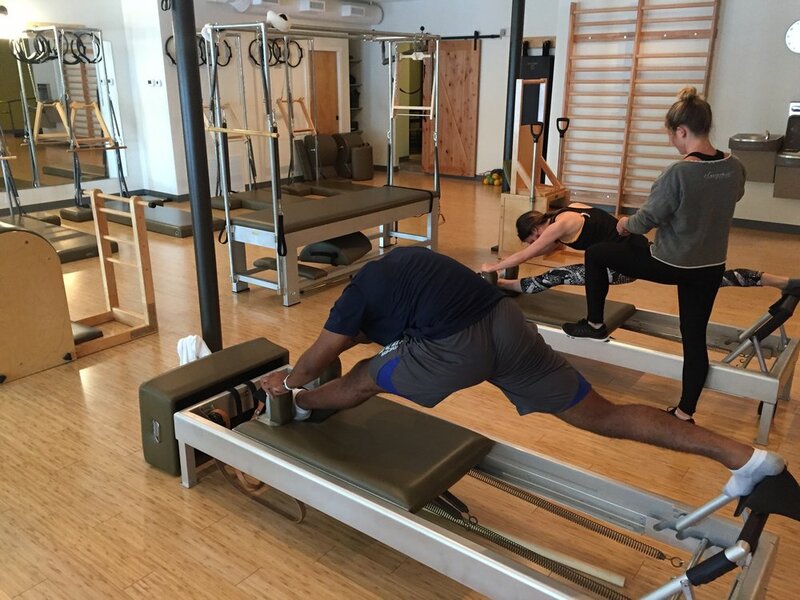 Regardless of body type, injuries, or fitness level, Pilates can help you find greater strength and ease! You may be confused about the different styles of Pilates. Fair enough! There are many forms of exercise known as Pilates. Want to know why? At Clasique we teach classical Pilates - also called authentic Pilates - in the style of creator Joseph Pilates. Clasique is a fully equipped Gratz apparatus studio. Studio owner Brooke Tyler trains apprentices here in Asheville through the Clasique Pilates Teacher Certification Program. You don’t need to know any of that, though, to know that Pilates is nothing short of life changing! You can experience that for yourself. Try one of our fun, welcoming group or individual sessions to help you connect with your strength and ease of movement.